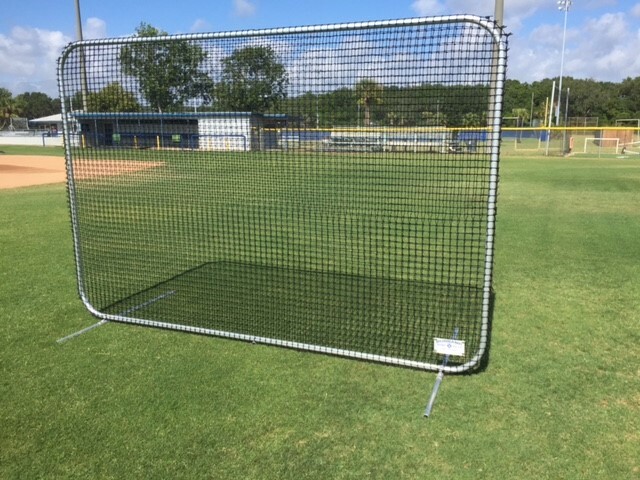 Our 8×12 Standard Bullpen Screen is customizable with netting, padding and frame metal options. It comes standard with #60 nylon netting and is fully assembled. Our 8×12 Standard Bullpen Screen works well to either divide up batting cages or act as a dead ballstop. It may also be used as a base protective screen on the field. It is available with different netting and padding options along with all welded aluminum or galvanized steel construction. Galvanized recommended for cage use. All Burbank frames are made here in the USA at our facility by an experienced welder.